Episode 25 - Is Money Anxiety Blocking Your Success? 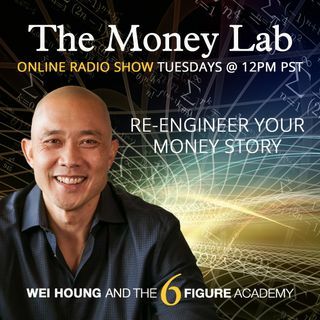 In this episode, Wei addresses the main reasons why people are blocking their success by keeping Money Anxiety around...whether it's making more money or being happy with money in general. This is a good one! Wow, thanks so much, Wei!! Super applicable and I was ready to hear it!! Very cool RE: Colorado. Would love to connect if it works out!! Wow, congrats on your new company, Wei. Awesome!! So, your program really shifte tectonic plates in me and my life. I'm in a whole new life and am headed in a really awesome direction. I totally get the emotional blocks. It's like I can see/feel them now where before I was too crazed to even see that. I'm doing many of the things I learned in your class (thanks!). What is the best way to get rid of the emotional blocks quicker (lol)?